Some tweaks to Cheap Trick's setlist—which hasn't changed in about three years. 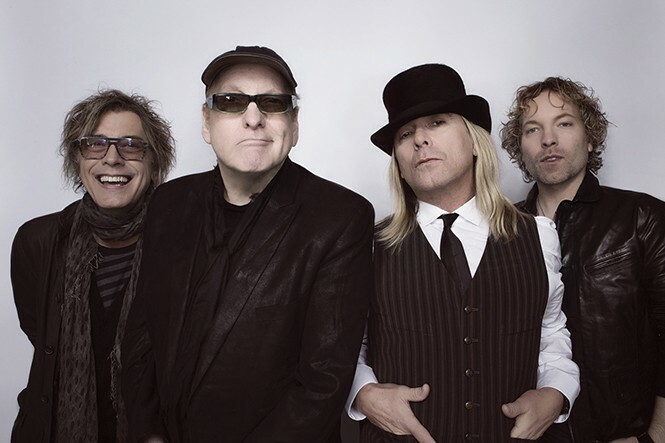 Saturday, Aug. 26, 7 p.m.
Far be it from me to tell Cheap Trick—one of the greatest bands in rock 'n' roll history—what to do. Except that, for at least the past three years, the venerable power-pop band's setlist has remained fairly static, according to crowdsourced data from setlist.fm. Sure, they mix things up a little from night to night, but not much—and ain't that a shame for a band that, over the course of 44 years, has dropped 16 albums containing many more gems than their sets reflect? Given that success, you can't begrudge Trick doing what works. But, fellas: You're playing 15 songs per night on this tour. Some, you can't avoid. Others are obligatory new-album plugs/proof of continued creativity. I respect all of that. It's your show, and I'll be happy with whatever you play. Then again, didn't you once say that "Everything Works If You Let It?" In light of that, what do you think of this setlist? It's not terribly different; the staples and new tracks remain, along with songs played sparingly over the year, and only two potential wild cards. Spoiler alert: Fans, if you don't wanna know most of Saturday night's show, stop reading now. Everybody else, take this as a primer for a band you need to know. "Big Eyes" (Played live 19 times in 2017): Following "Hello There" on the aforementioned album, this loopy stomper completes a most effective one-two punch. It often appears on sets as such—but occasionally split up. "Long Time Coming" (Played live 29 times in 2017): From the new album, We're All Alright! (Big Machine, 2017). Raucous, rollicking and loud—a worthy inclusion that diminishes any notion that it's a simple plug. "Mandocello" (Played live zero times in 2017) ... taking things down a notch in this ballad, from Cheap Trick (Epic, 1977), Robin Zander's falsetto entreaties convey that familiar, close-yet-far ache for a certain someone. "Gonna Raise Hell" (Played live two times in 2017): In 1979, when disco threatened to take over the world, bands like Kiss rolled with it. Cheap Trick used a disco beat to create their heaviest song ever. It's timely, now, since the song is about religious/political fanatics and warmongering. "She's Tight" (Played live 16 times in 2017): Roy Thomas Baker produced The Cars' first four albums, so One on One (Epic, 1982) has that familiar keyboard sound. It suits Cheap Trick on this track, which is pure lust, and a way to dissipate the previous song's intensity. "Reach Out" (Played live zero times in 2017): Aside from the must-play classics, there's no better crowd-pleaser than a song that was in a popular film. But while Trick could whip out "Mighty Wings" from Top Gun, their best soundtrack appearance is this fist-pumper from the 1981 animated cult film Heavy Metal. "The Flame" (Played live 39 times in 2017): So what if the band didn't write much of Lap of Luxury (1988), including this obligatory power ballad—which happens to be one of the most genuine and least unctuous of those moneymaker tunes? A breather before the homestretch. "I Want You to Want Me" (Played live 48 times in 2017): One of the band's most popular tunes, it first appeared on In Color—but that version is tepid compared to the souped-up, definitive live one on the triple-platinum Cheap Trick at Budokan. "Dream Police" (Played live 48 times in 2017): The title track to their masterful 1979 album was inspired by a bad dream about mind control—so it's another one fit to soundtrack the current world gone mad. "He's a Whore" (Played live 11 times in 2017): Subverting expectations here with another one from Cheap Trick. It's sneering contempt for all kinds of whoring, couched in a tale of a guy—Trick demonstrating early that they're equality-minded—who prostitutes himself to all comers, no matter how unattractive. "Surrender" (Played live 48 times in 2017): Trick's other biggie, this exploration of generational differences and similarities ultimately concludes, "We're all alright!" That is to say, rebellion isn't just for adolescents. Look out for the flying Kiss LP that the band launches during a particular line. Try to catch it—but don't be surprised if you gotta settle for a shard of black wax. "Goodnight" (Played live 38 times in 2017): A reprise of "Hello There," with slightly different lyrics, but one constant in the form of that euphemistic invitation to party.